X.Org Server 1.10 RC3 was barely out for 24 hours, but X.Org Server 1.10 was officially released on Friday evening by Keith Packard. This final build carries just a couple of fixes over RC3, but compared to X.Org Server 1.9 there is a whole lot of work under the hood. Unfortunately it's lacking RandR 1.4 support due to pulling that support out at the last minute. X.Org Server 1.10 doesn't have all of the multi-touch / gestures work either as part of X Input 2.1, but that will come with X.Org Server 1.11 later in the year. To many developers and users pleasure, X.Org Server 1.10 also goes without merging the drivers back into the X Server, as was once proposed by Keith Packard. There is also not threaded input events. What there is though is NVIDIA's first shot at fence sync object support. At least though this release was delivered nearly on time (just a few days off). 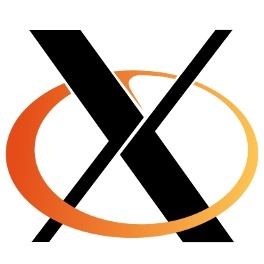 The X.Org Server 1.10 release announcement is available on the X mailing list with a full list of changes since xorg-server 1.9. Petter Hutterer and Adam Jackson dominate the changes this time around. X.Org Server 1.10 will be found in Ubuntu 11.04, Fedora 15, and many other distributions shipping in the coming months.